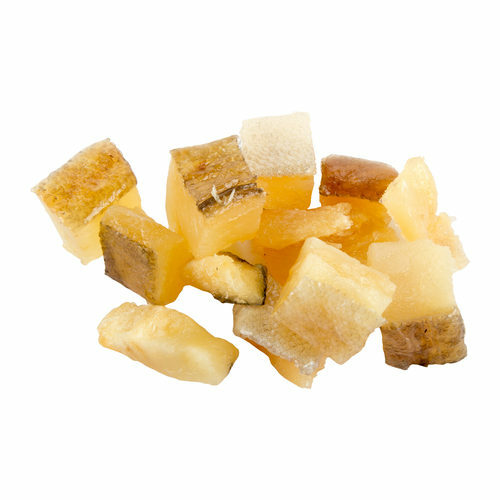 Amigüitos Whitefish bites are tasty and healthy snacks for your dog. The delicacy consists of 100% fresh whitefish and therefore does not contain any added colourings or flavourings. The whitefish bites are therefore suitable as snacks or treats. The Amigüitos White Fish Bites are highly suitable as a snack or treat. The snacks consist of 100% fresh white fish. The snack does not contain any added colourings and flavourings. Because the treat consists of 100% fresh white fish, it is very tasty for your dog. The snack is also easily digestible, making it a healthy and natural treat for your dog. Have you used Amigüitos Dog White Fish Bites before? Let us know what you think about this product.